Briefed to create a fluid grid system that could be flexible for multiple types of content that would also be simple enough to be updated by the client via a custom content management system. 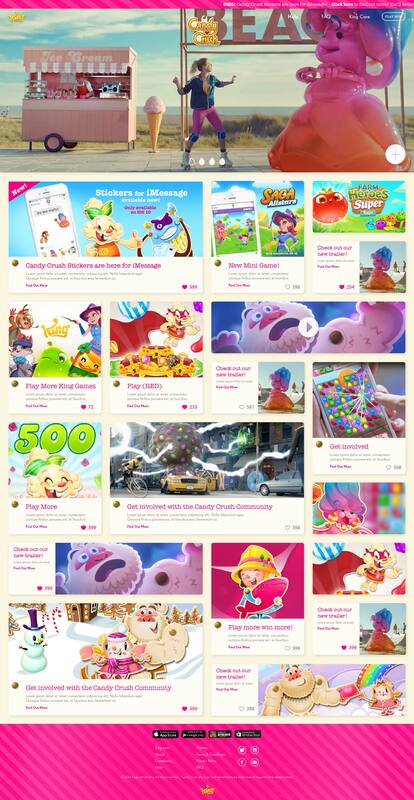 Panels would sometimes have to have little to no content and still look exciting enough to fit in with the rest of the announced news, using images to create interest and variation. 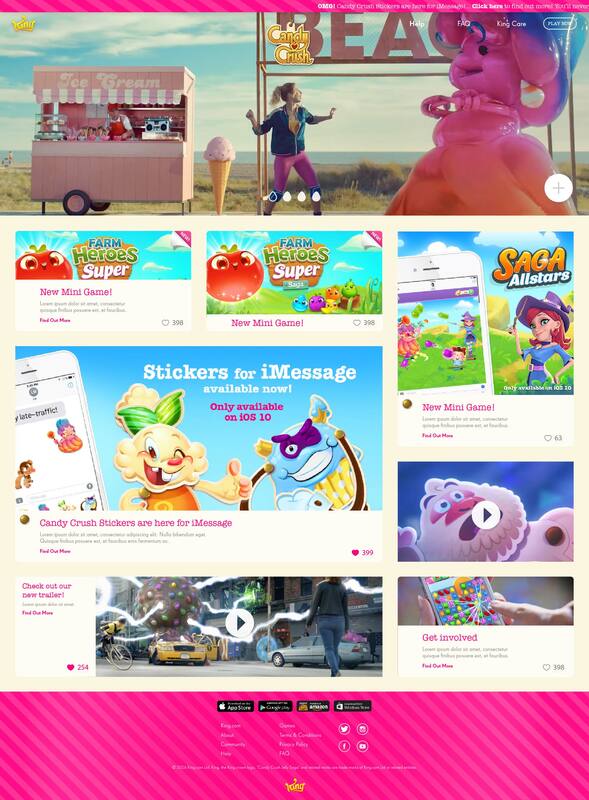 Endless content was the goal, a hub that would contain access to all aspects of the Candy Crush brand and all of the affiliated brands filtered into one central access point and news feed.